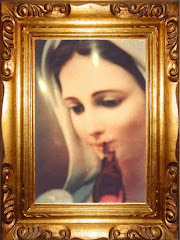 (Mary Most Holy): "Dear children, I am the Lady of Graces! I am the Grace, I am so full of Grace that I am the Grace itself for you all! I am the Lady of the Miraculous Medal and today I invite all My children to give their 'Yes' of love to God as My little daughter Catherine Labouré gave. Above all, I call young people to give the same 'Yes' of love that she gave to My Son Jesus, by embracing the angelic life, the religious life. The religious life is that sealed garden, which is spoken in the Song of Songs, where the soul is not only guarded from all dangers that threaten the eternal salvation. But also, it is the sealed garden, where the soul, lover of God, receives from him all his love, receives from him all the embraces of his grace, all the kisses of his infinite and incessant graces of love. And where the soul as if enraptured with love: lives, faints without ceasing of love in the arms of his Beloved, who is My Divine Son Jesus Christ. The Consecrated religious life is that house built on the rock, of which My Son Jesus spoke in the Gospel, which the prudent man, the wise man seeks to build. Against this house built on the rock, the waves come crashing against it, the strong winds blow, but the house does not fall, because it is steeped, it is founded, built on the rock. This rock is the religious life, where the soul, the soul that consecrates itself to God, truly has from God all the helps, all the graces, all the remedies to be cured of all spiritual sickness, to grow in holiness and in the true love to God, to grow in the virtues. And also, where it is defended of all the storms, of all the waves of the vices, of the evils of this world. Yes, there is no place where the soul is more safeguarded from the evils of the world than in the religious life, than in the religious orders. Therefore, wise is the man who builds his house on the rock, that is, that embraces this life that by itself, protects the soul from the waves and tempestuous winds, of the evils and of sins of this world. How wise is the man who builds this house on the rock, who understands the beauty of the consecrated religious life, who understands the value, and how this life truly is a sealed garden where Satan can not penetrate. It is a house built on the rock, where the waves of the evils of this world can not overthrow the soul, they can not reach it. And therefore, the soul arrives victorious at the gates of Heaven and there by the Angels, received in celebration, gloriously, and by Me, is crowned triumphantly. May each young soul follow the example of My little daughter Catherine Labouré, who understood all this. 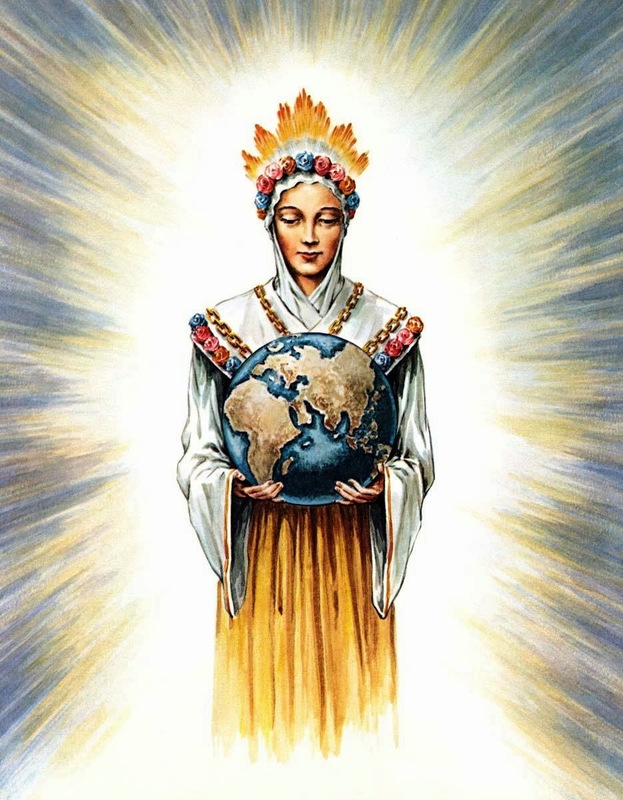 And so she became wise at such a young age, already building her home on the rock of the religious consecrated life, where she truly received from the Lord and from Me the greatest favors, the greatest graces, and where I kept her soul safe from all the winds and waves of evils and temptations of the world. And where my daughter truly resisted all this, she flew from Earth and triumphantly arrived at the gates of Heaven, where the holy Angels received her with celebration and joy, and where I crowned her triumphantly as the victor of the world. Comprehend also My children, how brief life is, how life is fleeting. Remember your friends, relatives and acquaintances who suddenly passed away, one day they were alive and the next day you already saw them entering the gates of the cemetery. My son Jesus allows this to happen to warn family members who are in the sleep of sin, in the sleep of atheism, in the sleep of materialism, in the sleep of worldly pleasures far from God. So that they may awake, while they still have time, and so that they return to God by way of prayer, of sacrifice, and of penance. In this case, it is not a punishment, a punishment the sudden death, but a means of which My son uses to warn the relatives, to warn the friends, so that the may convert themselves, so that they may change their lives and so that they get out of their sleep of death where they are. Yes, think my children, how this life is a very fine thread, that any illness from one hour to another can cut. Think, that you yourselves can sleep alive and the next day be dead. Think, that today you will be here, tomorrow a headache, a breaking of some vase, can cause you also to enter the gates of the cemetery. And far worse, enter the gates of Hell if you are not in holiness. Think my children, how short life is, and so prepare yourselves to be called by My Son, for He may call you at any moment. He will come as a thief, many times without warning. Therefore, my children, convert yourselves without delay, so that in that moment, from your passing from this life to that, that life that never ends, the eternal life, you are in holiness and can be crowned by My Son as servants worthy of His eternal glory. Think, my children, that even the richest man in the world can not buy his life at the time of death, he can not bargain with My Son, he can not bargain with God, he can not barter with death to prolong his life. Therefore, do not cling to the goods of this world, because they can not help you at the time of your death. Pray, do penance, sacrifice yourself by accepting the sufferings that God allows you to atone for your sins of yourselves and the sins of this humanity, which is more and more offensive to God. So that you may be purified at the hour of death and be deemed worthy by my son to dwell with him in his heavenly palace. Mark, my beloved repairing soul, thank you very much for the sacrifice you offered tonight of your headache. Yes, my son, you have saved 319,000 souls with this pain. And also, for the Rosary of Mercy 99 that you did in honor of my son and also for my sake. That rosary you made with so much love in your heart for me and my son, the merits of this Rosary of Mercy saved 59,522 souls. Cheer up my son! Because these souls will one day meet you in Heaven and there they will embrace you, they will kiss you and they will lead you among the Angels amid songs of joy and joy. Thank you, because many souls of Purgatory left thanks to this Rosary of Mercy, in fact 23 thousand 472 souls left Purgatory as soon as you offered this Mercy Rosary that you recorded for them. May this serve as a lesson, not only for you, but for all my children, that no work done with true love, sincere, for God and for me, bears no fruit, is without reward. Yes, and your father Carlos Tadeu, for whom you offered first, received 72,340 blessings from the Merciful Heart of Jesus and my Heart. Cheer up, son! Cheer up! Because in this way you are helping many and many souls who need it. Continue, continue to make these Mercy Tribunes that so much light cast in Purgatory, so much light cast in humanity, so much light cast in the souls and so much divine wisdom instills in the hearts of the men. Yes, when contemplating the life of the Saints, when they contemplate the examples of them full of light, the souls are also illuminated, they are illuminated by the light of my Immaculate Heart. And so, more and more, we dispel the darkness of Satan, the darkness of sin, vice, error, apostasy. Forward my son! Do not ever stop! You are the great consoler of my Immaculate Heart, for this Rosary of Mercy you have comforted my Heart and that of my son Jesus, and have punished you from 5 countries of the earth. Cheer up! Keep moving forward, my son! Go and never stop! One of the countries saved by this Rosary of Mercy that you recorded, prayed and offered was Australia. Continue my son, keep offering, keep working to save so many souls that need! I want my children to work more for me: May every 27th of every month, make a cenacle in honor of my apparition to my daughter Saint Catherine on Rue du Bac. 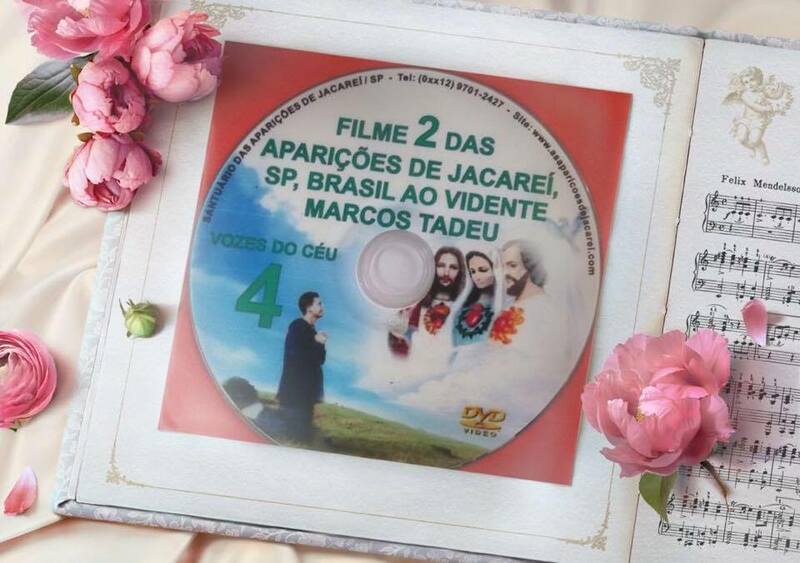 May they take my image with that of my daughter Catarina, to show my children the film of my appearance to her that my son Marcos made. And that on the 29th of each month they will hold a cenacle in honor of my appearance at Beauraing in Belgium. If you do not have my picture, take my picture, tell me about my appearance to the five privileged children whom I showed myself to. I want sacrificial love, I want souls who know to sacrifice for me. I want souls who know how to suffer for me. Souls who know how to work for me. Souls who know how to weary themselves. Souls that are not lazy in my service. Souls that are not slow in my service. Souls who are not selfish, who forget about themselves, to think of me, how much I suffer for so many children of mine who move away from my Heart, every hour, every day that passes. Children who are not selfish, who know even to forget their own pain and suffering, to think about my pain and to help me, to work, to help me save the souls of my children. Children who have no selfishness and who know how to forget their desires, even their rest, their comfort, to throw themselves in the fight with me to help me save souls. I want souls like my son Paulo da Cruz, who was a true hunter of souls. As I desire that there be more souls like St. Paul of the Cross, insatiable in the salvation of souls, insatiable, indefatigable in the work for the salvation of souls. Oh! How I want other souls like that! Therefore, I wish every day to meditate on my messages given in Beauraing. And, reflect that true love is the love of sacrifice. Who does not sacrifice for me, does not love me, does not know how to love me, has not learned to love me. I want souls who come close to me, with the right intention of sacrificing themselves for me, if they tire for me. They even risked their lives for me, as did my Maximilian Kolbe, my Afonso de Liguori, my Geraldo Majella, my Luis de Montfort and many other Saints who were even in danger of life for me. As did my son Marcos, who risked his life so many times, for love of me, and also for the love of your souls. For your sake he sacrifices health, for your sake he sacrifices his body to the limit. For you, he renounced your health every night to suffer in your place, to atone for your sins and to suffer the punishment you deserved for your past, present, and future sins. I wish souls who know how to sacrifice themselves for the brothers, for the souls, for the world and also for me. I want souls incessant flames of love! Therefore, more meditation on my messages, especially the last of Beauraing, so that my children learn to love me is to sacrifice for me, in body, in health, in soul, in spirit, in life. 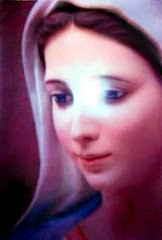 Only in this way will souls be purified, and after such a great suffering of the court of repairing souls, of the victims souls, will finally triumph my Immaculate Heart and will give to the world the new dawn of peace, happiness, holiness and of love for God that I am preparing every day in the silence of my Immaculate Heart. Finally, the earth will be renewed and the world will be world of love, world of peace, world of holiness. Continue to pray my Rosary every day! Let young people understand that the Noah's Ark that saved the righteous Noah and his family from the Flood is the perfect image of religious life. He who enters this Ark is saved from the deluge, from the vices, from the evils of this corrupting world. And there, the soul is guarded by me and the Angels in safety in the house and in the service of the Lord. And there it is protected, kept unscathed, safe from the flood where those who reside in this world so often drown. Let young people understand this mystery of love, which is the religious consecrated life. And to this mystery of God's love for man correspond with a 'yes' of love, with the answer of true love. I bless you all with love now of the Rue du Bac in Paris, of Lourdes and Jacareí. " 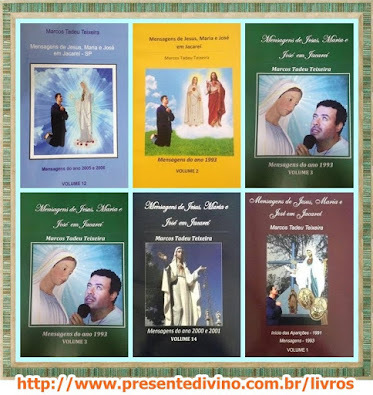 (Mary Most Holy after touching the Sacramentals): "As I said, wherever one of these thirds, books, holy objects come, I will be alive there bearing the great graces of the Lord. Pray my children very much, because you are included in the plans that I made, that I began with my apparition to my little daughter Saint Catherine in Paris. Here, I will finish what I started there and accomplish the great work of my triumph. All appearances will be fulfilled and will be successfully completed, gloriously, here. Pray! So that you have a spirit of piety, strength. Have the courage, the perseverance, the courage, which is necessary, that are necessary, so that you can fully and perfectly realize the plans I have made about you that I have made on this place for the salvation of the whole world. To all, again I bless and leave my peace. "